Hola! Welcome to Monday! I’m still on my #teamusa Olympic Games kick and I don’t plan on jumping off anytime soon. Watching the games I have noticed tons of natural ladies running things in swimming, gymnastics, fencing, track and field and more. 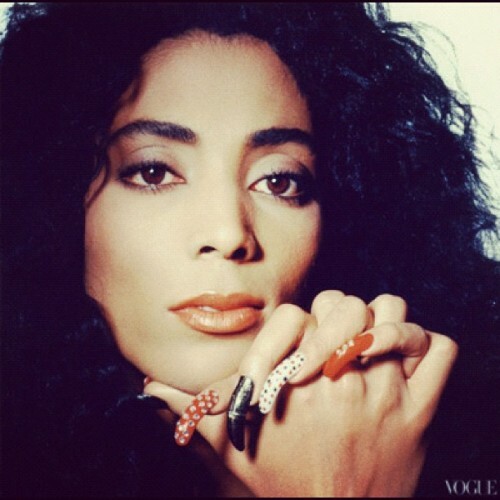 However, who can forget the ultimate fab track star—-Florence Griffith Joyner aka Flo Jo. Her claim to fame was being the fastest running woman in the world but who could forget those long bright nails of hers *can we say queen of nail art*. Peep the long, thick tress as well—fly!! Over the span of her career she won four gold medals and three silver. She retired in 1988 in her prime. Sadly the world lost Flo Jo in 1998, she was only 38 years old when she passed away in her sleep. Surely missed but never forgotten. R.I.P.